As a tourist, taking a walk around the city of Vienna is a wonderful thing. But it is also quite tiring. Virtual Vienna lets you visit Vienna's most famous locations of its rich musical history, all without leaving this exhibit! Each location is presented in a three-dimensional panoramic view with photo-realistic detail. 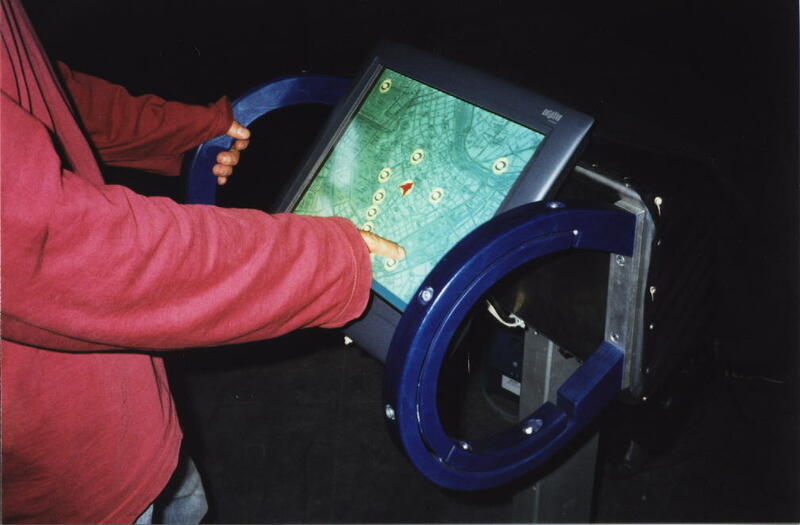 You navigate with the NaviPad, our custom-designed input device. To make this city tour a real source of knowledge, background information about any important building is available directly from inside this panorama. Plus, the NaviPad puts an electronic city map in your hands that not only lets you see where you are, but also jump from one end of Vienna to the other at the touch of a button (that's one of the big advantages of virtual city tours! ).